Looking for an easy dessert that is guaranteed to disappear? 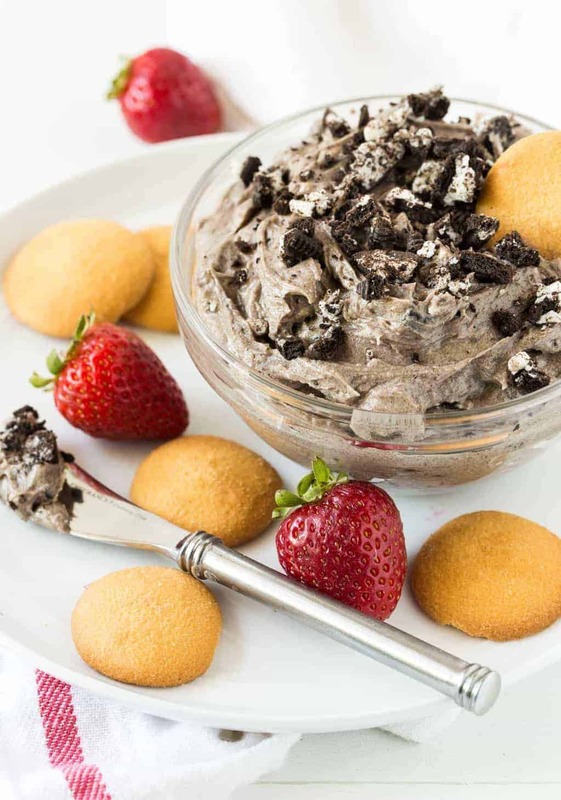 Your search is over with this Easy Cookies and Cream Cheesecake Dip recipe! I am always searching for easy desserts, and when you find one that doesn’t take a lot of planning, you know you have a winner. 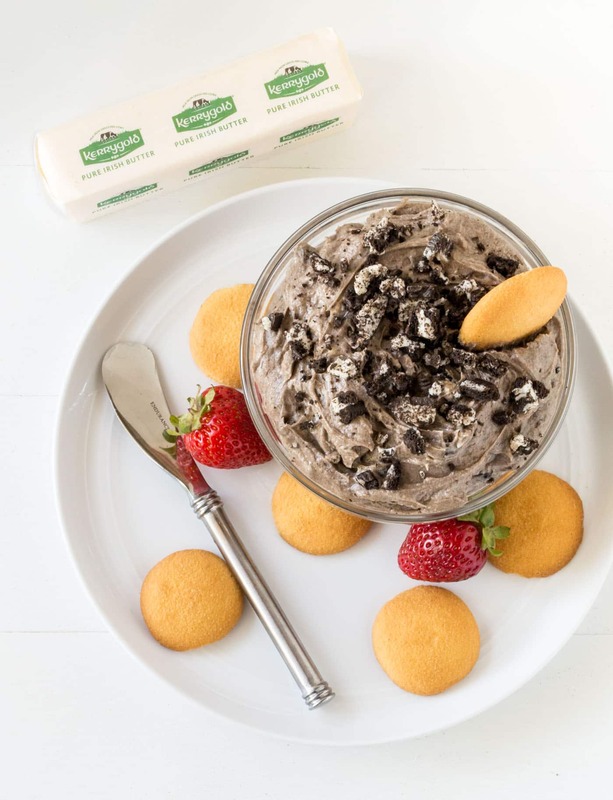 Filled with crushed chocolate cream cookies, cream cheese and our favorite Kerrygold® salted butter, this Easy Cookies and Cream Cheesecake Dip recipe has quickly become a go-to last minute dessert. And it is easy to see why. You can’t go wrong when there is chocolate involved. This dip doesn’t need to chill before you eat it, only uses one bowl and is made with pantry ingredients. Needless to say, it checks every box on my easy dessert list. When I made it, I had a feeling it would be a hit but I’m not sure I have seen a dessert disappear as quickly as this one did. Another bonus? It is easy to take on the go, making it a perfect tailgating treat. Simply serve the dip with some fresh strawberries and vanilla wafers for dipping, and you have a fabulous dessert that came together in no time. So go ahead and make a double batch of this from the get go. Trust me, you are not going to regret it. After all who can resist cookies and cream? Not anyone we know, especially when it’s a dessert that is as easy as this one! Make-Ahead Tip: This dip refrigerates well. Make it ahead of time and chill until serving. Save some of the crushed chocolate cookies to sprinkle on top before serving. Place the cream cheese and butter in a medium bowl and mix until light and fluffy. Add vanilla extract and powdered sugar and mix until well combined. Add crushed chocolate sandwich cookies and stir until combined. Serve with strawberries and vanilla wafer cookies. Disclosure: This post was sponsored by Kerrygold. We only share products with you that we love and use all the time. Thanks for supporting the brands that make Garnish with Lemon possible. The cookies look so fluffy! Anything with cream cheese is right up my alley. So glad that i found your recipe,Lisa.